The World Bank (WB) last month withdrew US$ 200 million in funds, which were earmarked for a garbage disposal project and Kelani River Flood Protection work, alleging corrupt practice in the awarding of contracts, reliable sources told this reporter recently. 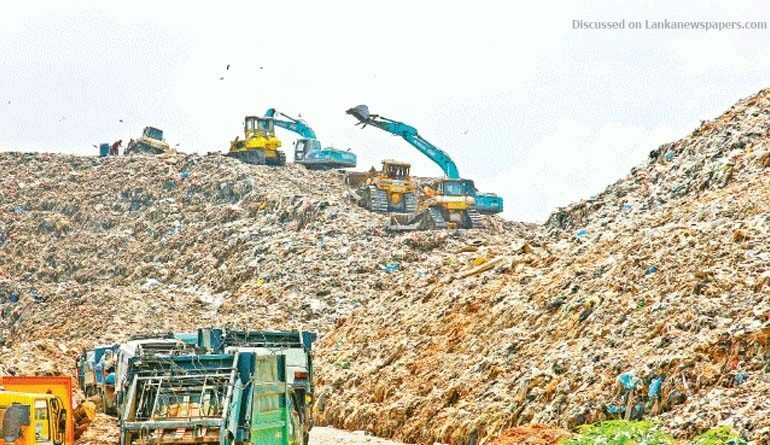 They said that after last year’s Meethotamulla garbage disaster, which left at least 30 dead, the Government had approached the WB to aid it in garbage disposal in the Greater Colombo area. As it was an emergency request, the WB had made available US$ 200 million from its retroactive fund for this purpose. A condition was that the Government had to follow WB procurement guidelines in respect of the project implementation. The scheme comprised three components, involving the Ministry of Megapolis, the Ministry of Provincial Councils and Local Government and a component to strengthen the Kelani River Flood Protection mechanism. The loan comprised US $ 100 million each for the Megapolis and the Provincial Councils and Local Government Ministries respectively, together with a component to strengthen the Kelani River Flood Protection system. The first of this component was the US$ 100 million loan for the Ministry of Megapolis. This was where the problem began. The WB found that powerful forces were allegedly promoting a particular Malaysian company to secure that part of the contract. The WB had warned the authorities about this misdemeanour. Nonetheless, a Chief Executive Officer of a Ministry allegedly had said that the highest in the land wanted this company to obtain the contract. But, the WB officers had stood firm. Then a leading politician and official in the Ministry had approached the WB Country Director’s Office in Colombo and had also allegedly batted for this Malaysian company. But, the Country Director’s Office had also stood firm, saying that the bid should go to the technically responsive lowest offer, which the Malaysian company, a section of the authorities was promoting, was however not. As there was no change of heart among the Government officials concerned, it led to the cancellation of the tender and the withdrawal of the US $ 200 million WB loan. Under the WB’s retroactive fund, which could be activated in emergency situations, the WB reimburses the Government in question which requests for such funds after it meets the WB’s procurement guidelines, followed by the meeting of such costs.